I think no L. A. trip will be complete without visiting the Universal Studios Hollywood. We did, together with Jake, Amber and Eric! We spent most of the day with the awesome movie-related rides and shows like Terminator 2: 3D, the House of Horror, the Revenge of the Mummy rollercoaster and the Jurassic Park Ride that ends with a 26 meter almost free fall. People who have been to an amusement park with me before know that I LOVE rollercoasters and especially free-fall towers Honestly, when we rode the rollercoaster – like Amber told me afterwards – I screamed like a little girl. But what really scared me to death was The Simpsons Ride which is not even a real ride but just the most realistic 4D simulation I have ever seen. I promise, if you`re afraid of heights you`re gonna die on that ride!!! At last we did the Studio Tour where you can see all the sets and stage props from world famous movies and TV series. We saw the wreckage of a crashed Boeing from War of the World, the Motel from Psycho, cars from Jurassic Park and the whole Wisteria Lane from Desperate Housewives! There is another 4D simulation with the world largest 3D screens, special effects like exploding cars or an earthquake in the Metro and of course – my parents already told me before – the Great White from Stephen Spielberg`s Jaws. 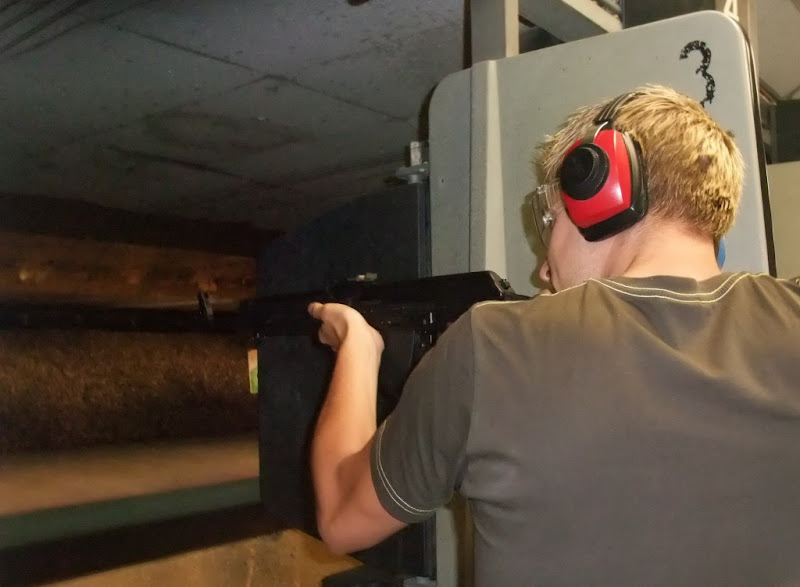 Germany has one of the most restrictive weapons laws in the world. That`s good because as there is almost no legal way to get a real gun the risk for you to get shot down by criminals, angry neigbours, classmates or your own son/daughter is very low. 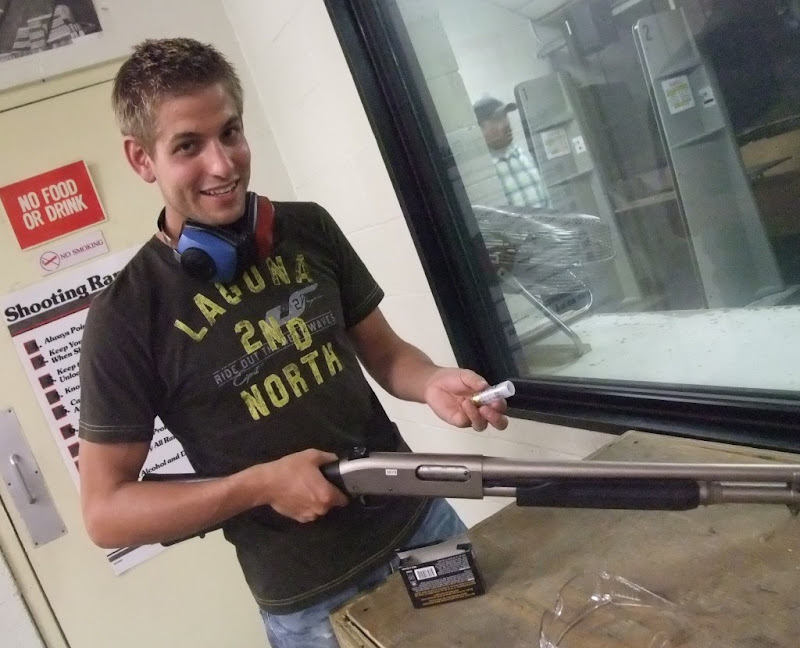 On the other hand if you are a responsible person who is interested in firearms it can be a little bit annoying that you`re only offered the boring stuff like airguns, blank firing guns and the plastic airsoft crap. 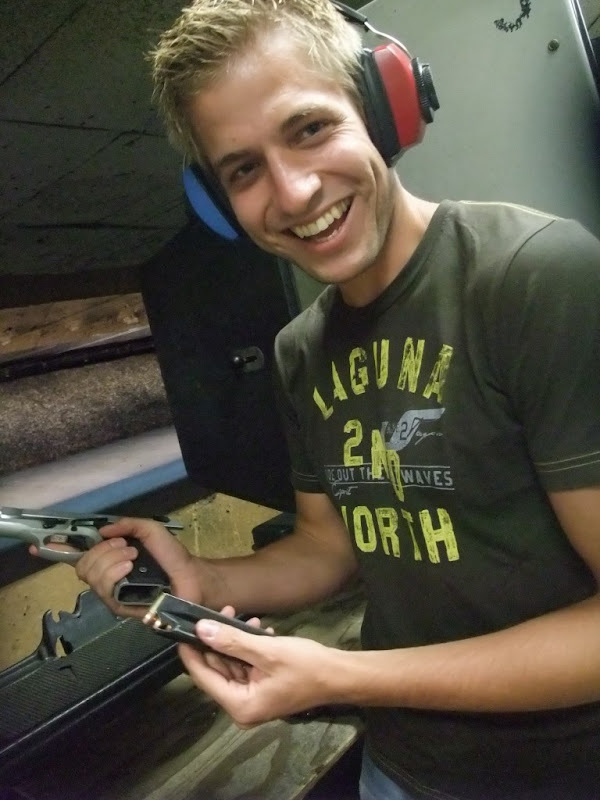 For everything else you need a licence, have to be a permanent member in a gun club and so on…but wait a minute, aren`t we in the USA these days!? 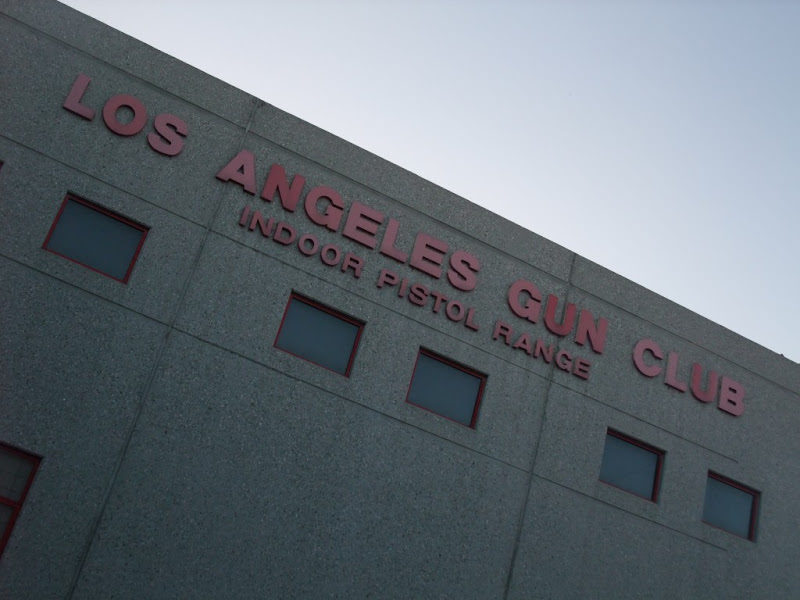 On a beautiful sunny day we went to The Los Angeles Gun Club which is much more a public shooting range than a club. 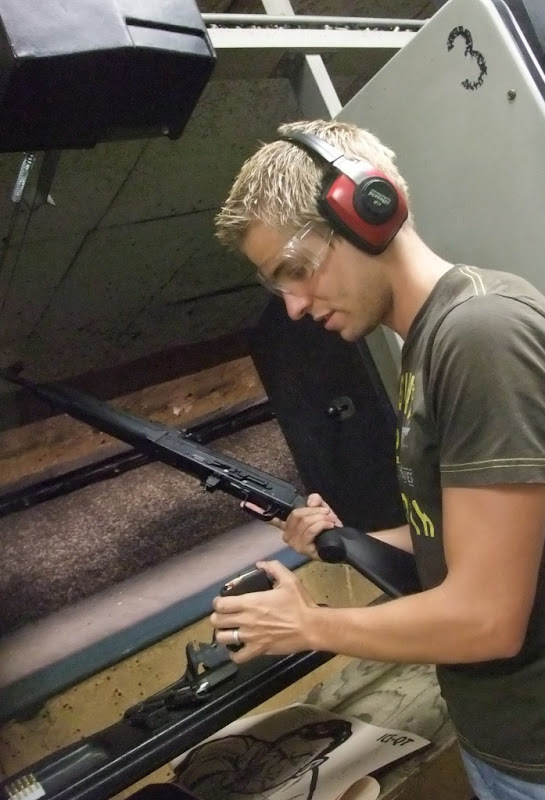 They have a wide choice of rental guns including all popular pistols and revolvers and a lot of rifles. 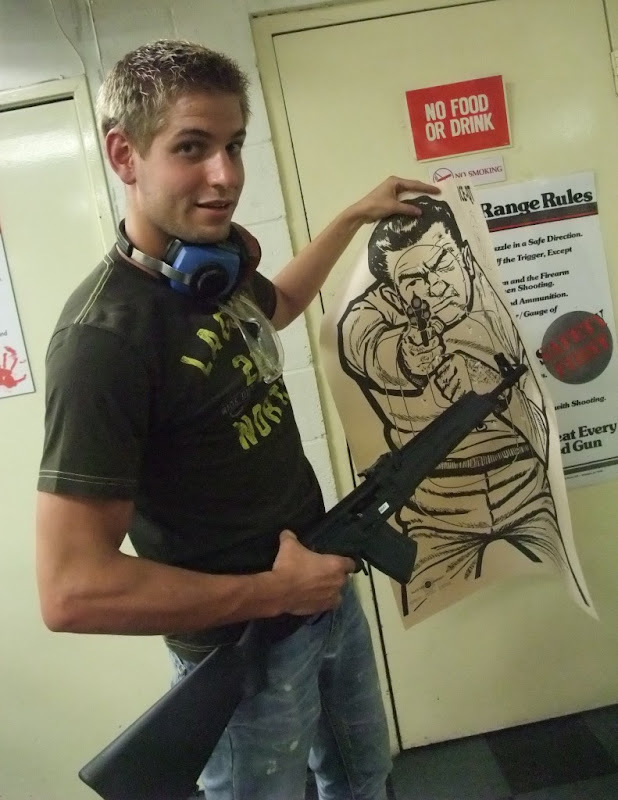 I decided to rent a .45 pistol (Beretta 92F) and a 7.62 mm Saiga rifle (based on the Kalashnikov assault rifle), got a short instruction and then…well, what do you think? PARTY TIME!!! But what about Isabell, did she also have fun with the guns? 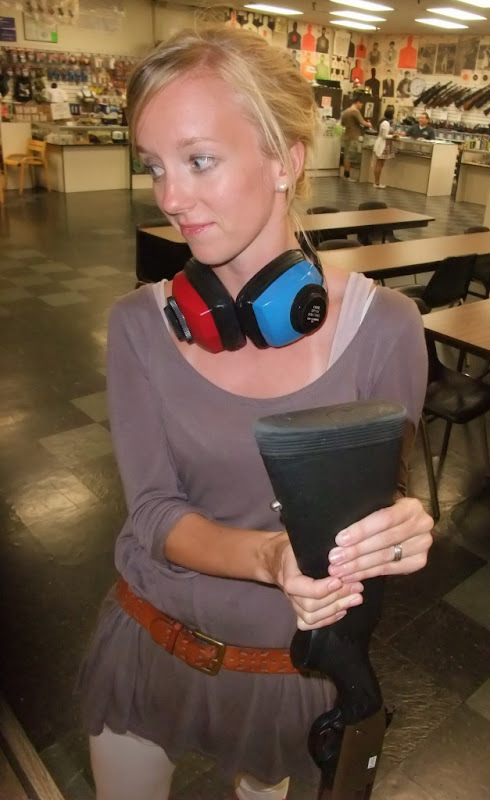 Have a look at the last gallery picture to find out! P.S. Dear brother, next time you have to come along! !